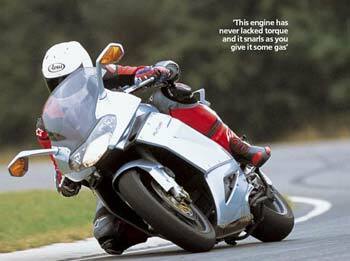 The Aprilia RST1000 Futura fared quite well in road tests around the world when it was launched in 2001 and many of these tests are still available to see online. These links have not been checked in a while. This page is the largest and most comprehensive archive of Aprilia Futura online road tests and write-ups still available, with links to pdf versions of magazine tests stored on this website. If you’re thinking of buying a Futura, and want an idea of what it’s like to ride and how it stands up to the competion, then dipping into a few of these should help. At present I have added only a few pdfs, but I have a big stack of magazine road tests waiting to be scanned that I’ll put here when time allows. Motoring.co.za (South Africa) 2001: Launch road test. No longer available – sorry. Thanks to Spitfire Triple for finding the Motorcycle.com tests.